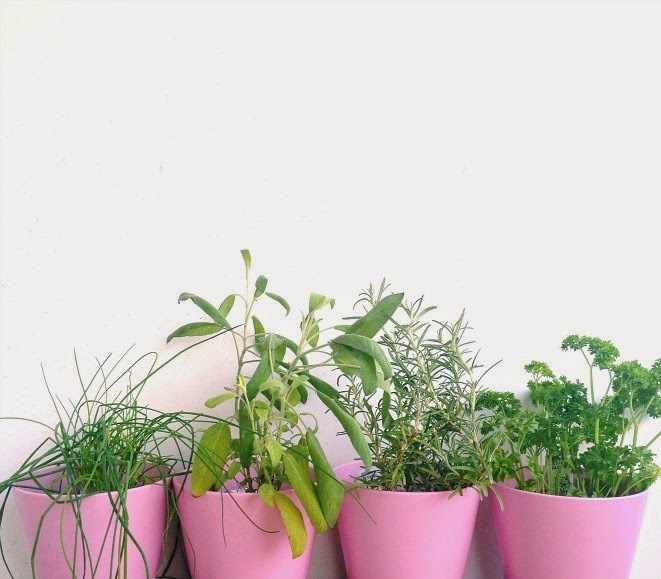 30 Before 30 Update - Plant (and Keep Alive) a Herb Garden | La Petite Noob | A Toronto-Based Fashion and Lifestyle Blog. Thanks Kris! I've scoped out a yoga studio thats right near my place, and am planning on joining right after Italy - I'll need it! This looks so lovely! And no, it's not cheating to give each plant its own pot ;) I can't wait to have my own herb garden. It's just that I manage to kill every plant the comes inside my house, including cactuses. BTW, I love the idea of your 30 before 30 so much that I have contemplated stealing the idea. I think it's a great way to prepare for being a serious grown-up (or something)... now that I'm 26, the seriousness and adultness is coming terribly close! Thanks! I love the pink against the green of the herbs as well!